Are you intrigued, or in awe of performance? Or, are you a performer yourself? 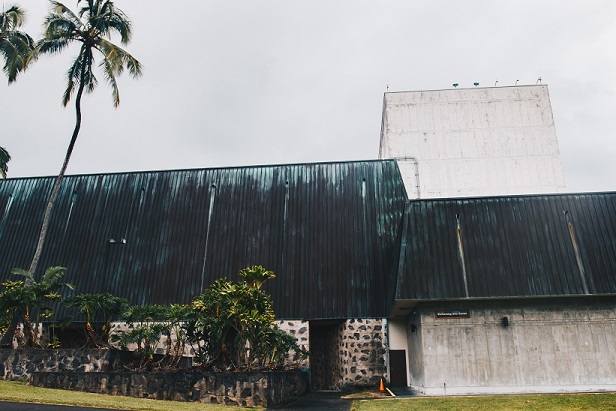 If so, be certain to check out UH Hilo’s Performing Arts Center! The semester (or “performance season”) coming up is going to the top of the list for most exciting and diverse events! Many UH Hilo students enjoyed last season’s special creations, but it’s time to give the spring a fresh start. Two of the most popular shows, the Great Leaps Dance Concert and the Jazz Orchestra are making their respective ways back to stardom later this semester. The Great Leaps Dance Concert will be presented on April 27-28 at 7:30 p.m., and the Jazz Orchestra will showcase on May 3, also at 7:30 p.m.
As Landon Ballesteros, a long-time performer and performing arts major states, “The Great Leaps concert is very popular, we tend to at least get close to selling out every year.” This particular production utilizes over 150 students, all showing off their marvelous talents in a combination of several different dance forms, such as ballet, jazz, modern, and aerial dance techniques. No wonder it is such a big hit! The Jazz Orchestra is an extremely talented set of musicians, which brings in a rather large number of theater-lovers. The hard work that goes into such a beautiful performance is rather astonishing. “Our main stage production is going to be called ‘Aloha Las Vegas’ which is our spring production,” Landon Ballesteros said. “Aloha Las Vegas” is about a retired baker who struggles with relocation to Las Vegas, and is set in the early to mid 90s. It follows through and uses local culture and language to bring migration to life. It premieres on the April 12, and continues showing through April 15. The first three days, the shows are at 7:30 p.m., but the last performance is currently scheduled at 2:00 p.m.
Justyne Shope adds, “One exciting show that was cancelled last semester due to visa complications is coming back on Feb. 2 called ‘Mana Wahine’ by the Okareka Dance Company.” The piece is a travelling piece, and the performers are visiting from New Zealand, it also presents at 7:30 p.m.
“‘Mana Wahine’ is an all-female work that utilizes dance, theatre, and film to honor the essence of what it is to be a woman,” states the 2017-2018 Performing Arts Pamphlet. It is inspired by history, as well as the real-life experiences of the performers themselves. This show certainly seems to carry a wonderful idea. Last season, “Shank’s Mare” was a grand success, but unfortunately will not be presented this semester. However, “if enough people contacted WESTAF, The State Foundation on Culture and the Arts, and National Endowment for the Arts (a.k.a. ‘Shank’s Mare’ project supporters) it will be brought back next season!” box office clerk, Justyne Shope shares hopefully. A performance that is coming soon to a theatre near you on Feb. 23, and 24 is the annual International Nights. This showcase is produced through the International Student Association, and is a long-standing tradition for the university, made up entirely of volunteering performers. It is so popular that the tickets are sold out every year! If this sounds interesting, and you wish to see it, make sure you purchase your tickets as soon as you can in order to reserve your space in the house. Even though it may seem too early, it’s not. In addition to all of these spectacular shows, there are still many many more coming up! Here’s just a few: “Trio Rafale” on March 6 from 7:30-10:00 p.m., “Masters of the Currents” on March 8 at 7:30 p.m., “The Alt: on March 22 at 7:30 p.m., and “We Sing the Spring” on May 6 at 2:00 p.m.
“Trio Rafale” is French, meaning “a gust of wind,” and is a piano trio. “Masters of the Currents” is about refugees in Hawai`i trying to bridge between immigrant communities. 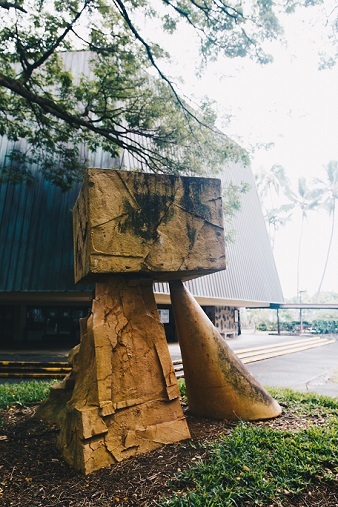 “‘The Alt’ is comprised of the three members that could rightly be considered a supergroup of folk music,” pitches UH Hilo’s event details webpage. “We Sing the Spring” is the culmination of UH Hilo’s Kapili choir, and is said to have voices and songs from all over space and time. 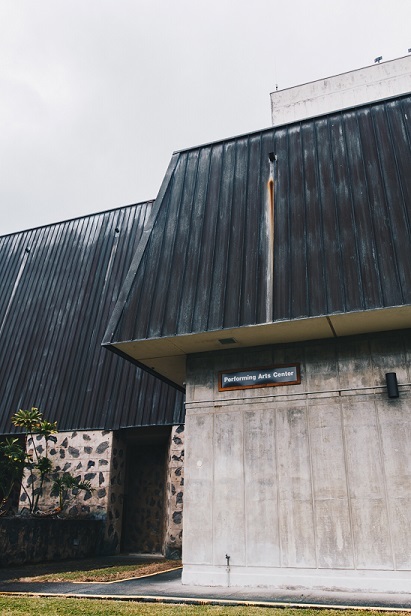 It seems there is some new blood in the performing arts center after Jaquelyn Pualani-Johnson, or “Aunty Jackie” retired last spring. This is what shall continue to bring a new and exciting perspective to the stage, with a colorful flavor. In order to become ready to perform, one must study. It is essential to learn how to pour your heart out in the form of singing, dancing, acting, playing music, or some combination of those. If you’d like to become more involved with the Performing Arts Center, the best way is through taking a beginning class of your choosing. then you will be able to perform, and it will build from there. For those more inclined to view than participate, it may be useful to know that the pricing for outside guests ranges from $7 to $20., but there is normally a student discount, so be sure to arrive armed with a student ID. The discount changes depending on the show, so be sure to check out the Performing Arts webpage. Through the university’s hard work, students have the ability to enjoy, and perform in the most amazing of settings. They can truly become their characters, and express their inner selves through the performing arts center. Encouragement is what aids the center to keep putting on wonderful shows, so let’s ensure they break their legs!